Big Brother Africa, Common Wealth Games and The Chilean Lesson | ItuaLive! Nigeria scored another point in the entertainment industry yesterday as our very own Uti Nwanchukwu emerged as the winner of Big Brother Africa 2010 (Big Brother Africa All Stars). 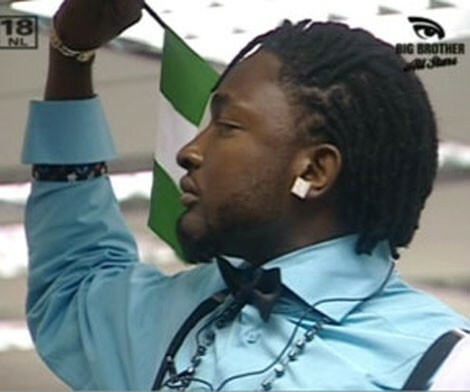 After a 91 day thriller, Uti became the second Nigerian to win the coveted 200,000 USD cash price following Kevin Chuwang Pam’s feat in Big Brother Revolution 2009. Fourteen housemates began the journey on July 18 and were housed for about three months. This season, the producers of Big Brother Africa took entertainment to a whole new level with many twists and turns. From the inclusion of the “Barn” to the engagement of Meryl and Mwisho, it was fun all the way (Shower time lovers were not too disappointed as they had other thing to keep them busy). At the last eviction show, the five remaining house mates were Uti (Nigerian), Sheela (Kenya), Munya (Zimbabwe), Mwisho (Tanzania), and Lerato (South Africa). According to the host, IK, this was the closest ever finale with the winner securing the votes from 8 countries and the runner up from 7. Well, some Nigerians attributed Uti’s victory to the cosmopolitan nature of Nigerians-we were probably the ones voting in all those countries. I got a funny text message suggesting that the PDP may have been involved in rigging in favor of the home side and I almost believed it had it not been an obviously transparent process. The final show was more like Nigeria affair as we were entertained with performances from MI, Jesse Jagz, 2Face and Maye Hunta as well as Kenya’s Wyre. Uti indeed has done his country proud and we hope that he would be comforted after his father’s sad passing while he was in the house. In similar news, some other Nigerians flew the Nations flag high at the just concluded Common wealth Games in India. 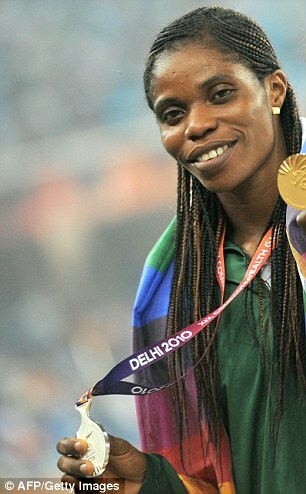 Nigeria’s Augustina Nkem Waikoloa made history as the first athlete to win gold in the games. Although, the games were marred by doping scandals where three Nigerians were stripped of their medals, Nigeria still totaled 11 gold, 10 silver and 13 bronze medals and maintained the 7th position on the medal table. I do not want to read too much into the doping saga. Some say Nigerians are not known for doping (we were also not known for trying to blow up a plane in mid-air), and that the athletes should be banned. I don’t think they should be banned, I believe there are good doctors and bad doctors, good teachers and bad teachers, good athletes and bad athletes. I think the performance of the whole team should be considered above all else. We must come together and celebrate our own like Chile did after the 33 mine workers were rescued. Had this unfortunate incident occurred in Nigeria, one wonders what would have been the response of the Nigerian Emergency Management Agency (NEMA). Well we know that there would have been a lot of jamboree in the National Assembly over which construction company to award the contract. The miners themselves may have employed federal character to decide which of them would be the first to come out. And God help us if it were someone from the South- South. Ohaneze would have screamed foul play saying the Igbo’s have been marginalized again. The Hausa man may ask for zoning. They would completely forget the dire situation they find themselves. The construction company (let’s call it Jumbo Berker) who won the contract will go in with bull dozers and turn the site into a burial ground. Nigerians will see the incident as an act of God. We would have called a cleric and an imam to pray for the repose of the souls that could have been saved. Chile showed a country that places premium on the lives of her citizens. Even the Bolivian President was there to welcome, one of its citizens among the 33. All we can hope and pray for is that we learn from Chile’s experience and come together as a Nation putting religion and ethnicity aside and concentrate on nation building.